I loved it so much that i could go all day and not get anymore wetter then i already was thank you for all the fun i have had there Sincerely Yours Suzanne. I just wanted to comment on the days of Deer Park Funland. My family went there almost every summer for years. The last time that we went as a family the newest ride was Loggers Run. We hardly went after that, because my dad didn't want to take us anymore, because he thought it was too expensive, and, not being able to bring your own food in the park was another. I think admission back then was only $8. 50 and you could get a hot dog meal for around $3. 00. Some things I miss about the old Deer Park was the Mutley's Putt Putts, and the Spider ride. The Putt Putts were great Antique cars, but that area was demolished by storms and not rebuilt. I also miss all the old trees. Not many people know that the park was very wooded in the 1970s. The park tore down a majority of the trees, and turned it's wooden beauty into a huge empty field with rides. The new owners of the park have improved it greatly, although it is way over priced for being in Michigan. 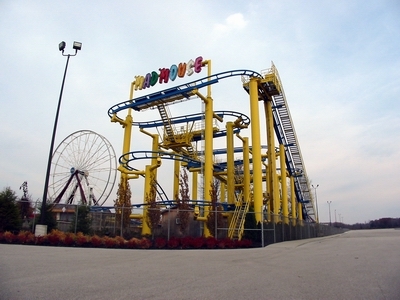 The new owners own many amusement parks in the US and a few in Canada. They would be wise to lower some of their prices, otherwise a lot of people will no longer be able to afford to go there. The park opened in 1956 as Deer Park. 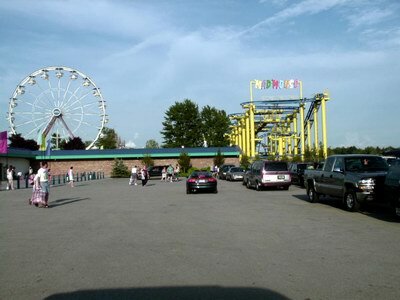 The name was changed to Deer Park Funland in 1972, and then to Michigan''s Adventure in 1988. 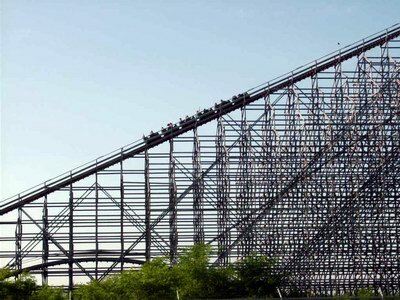 The park has seven roller coasters:-Corkscrew (1979)-Wolverine Wildcat (1988)-Zach''s Zoomer (1994)-Shivering Timbers (1998)-Mad Mouse (1999)-Big Dipper (1999)-Thunderhawk (2008)If anyone would like to know more about the park''s history, feel free to send me an e-mail, I used to run a Michigan''s Adventure history website and had an article about the park''s history published in Rollercoaster! Magazine a few years ago. And I''m always looking for people to share their stories on the park''s history. :o). I am certain the previous post was referring to Pleasure Island. I used to go there all the time when I was younger. It certainly was a fun place. I was just wondering if anyone remembers Paradise Island Water Park it was located near Michigan Adventure. 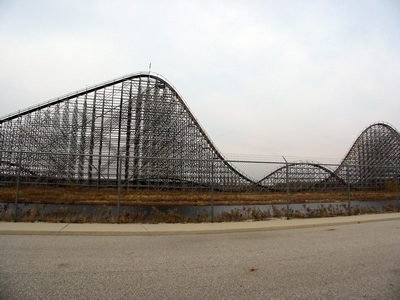 It closed in the late 90''s and it was rumored that Michigan Adventure was to aquire it rides. Paradise Island had some of the best water rides of any water park I have been to. There was a ride called the black hole. It was a pretty steep water slide that had a section that went under ground. It was the best water ride I have ever been on. But I don''t see a page for Paradise Island. All I have left from Paradise Island is a shot glass but man it sure was a good time there!!!. I have an awesome collection of many different souvenirs from Deer Park Funland that I''d like to sell. 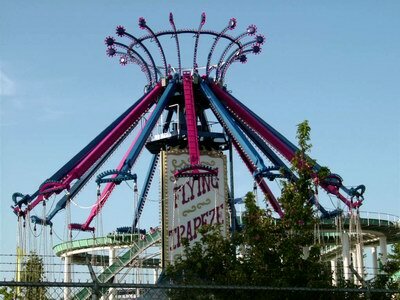 If you are interested, before I list it on ebay, please email me and be sure to put Deer Park Funland in the subject. I am 60 years old now, and have some wonderful memories of when it was Deer Park. Thank you. Gail, you are exactly right about it being called Deer Park Funland. I used to have a T-shirt from there that proclaimed; I Rode Muttly''s Putt Putts which I got back in the early eighties. I was told that the scrambler & tilt-a-wirl along with a small ferris wheel were moved there from Lake Lansing, which closed about a year before Deer Park opened. Can anyone confirm this?. This park used to be nothing more than a small midway-ish park called Deer Park Funland back in the 1970s. Growing up in North Muskegon, it was a big deal when I was able to take a friend and go to Deer Park for my birthday celebration. The big attraction was the deer that we could feed, and a little train that encircled the park. My favorite rides were the Tilt-a-Whirl and the Scrambler. They built a corkscrew coaster sometime in the early 80s, I believe, then the park grew by leaps and bounds from there. This park is the last open park of its type in the state. There is a good selection of rides here, with several good roller coasters and and other thrill rides. There is also a pretty extensive selection of water rides. This site is owned and operated by the same folks who run Cedar Point, so it is a good, clean and safe park. The fact that is smaller is actually a benefit because it is not as overwhelming as some of the mega-parks are. Plus it is usually not as crowded. The nearby Getty 4 Drive-In and Thunderbird Raceway/Dragway make Muskegon a great weekend destination.